With worldwide OTT streaming video revenue projected to surpass $20 billion by 2019, there’s never been a better time to start streaming video. Corporations, universities, small businesses, and entrepreneurs are all investing in live video streaming—and that requires live encoders for video streaming. In this blog, we’re going to introduce you to a number of live encoders from the company LiveU. This includes the simple and cost-effective LU200e, the one-touch streaming LiveU Solo, and the backpack-sized LU500 encoder. LiveU is the pioneer in network bonding, and is a high-profile provider of encoders and streaming services worldwide. They work with more than 2,000 major clients in more than 80 countries, and continue to spearhead innovation. For example, the new HEVC Pro Card allows the LU600 encoder to stream using H.265, the latest highly compressed video standard that boosts quality substantially. Large events broadcast with LiveU equipment include the US Presidential Election, the FIFA World Cup, the Olympic Games, and the Super Bowl. We’ll cover one of these events—the 2014 Winter Olympics in Sochi, Russia—in the case study section later in this article. LiveU’s encoders come in a wide variety of sizes and shapes. They offer large, rack-mounted live encoders for use in studios and vehicles, and a number of small devices for desktop or mobile use. Today, we’re going to look at three devices in particular, all RTMP-capable for streaming to DaCast’s online video platform and other OVPs. Additional LiveU products include the Xtender, which increases network performance for cellular bonding, and LU-Smart, a mobile live streaming app that bonds both cellular and Wi-Fi networks in a single phone to enhance quality. Each LiveU product connects with LiveU Central, a browser-based platform for managing and previewing live streams. This allows a centralized control room to manage broadcasts from any location around the world. LiveU Central also simplifies the process and management of software versions on multiple encoders, integrates geolocation to track users on a map, and allows you to monitor connection quality. 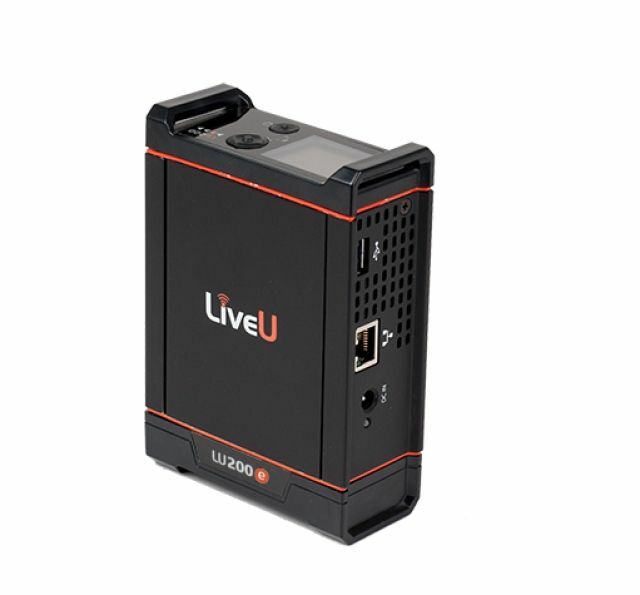 The first LiveU encoder we’ll look at in this article is the LU200e, a simple and effective device built to work reliably and minimize infrastructure costs for professional live streaming. At first glance, the LU200e is a small, self-contained live encoder that can be mounted to any camera easily. A 3G/HD/SD-SDI interface, as well as HDMI, allows it to stream video from almost any camera. Weighing a little more than a pound, the device is small and mobile, but features two hours of battery life. It also includes network bonding technology, allowing you to combine four cellular connections and Wi-Fi (as well as Ethernet, if available) to stream untethered from anywhere in the field. The LU200e includes LiveU’s patented, reliable streaming technology: LiveU Reliable Transport (LRT). LRT incorporates error protection mechanisms and other algorithms to achieve maximum quality and minimize latency over a potentially unreliable network. The LiveU Solo live encoder is a small, plug-and-play device that’s simple and reliable. It shares many similarities with the LU200e, but is even smaller and more affordable. It’s designed for single-person use in remote locations, weighing only a pound and including a two hour battery. It can be mounted directly to the top of your camera or on a belt, backpack, or tripod. The Solo simplifies the streaming process so that you can send video directly from this live encoder to the content delivery network, social network, or online video provider of your choice. Once you’re set up, going live is a one-click operation. Setup occurs via a small screen on the device, or a web-based remote control interface from another device. The Solo can stream up to 1080p at 60 frames per second, and uses proprietary algorithms to maximize video quality. A low-latency mode reduces lag time between events and video stream delivery. 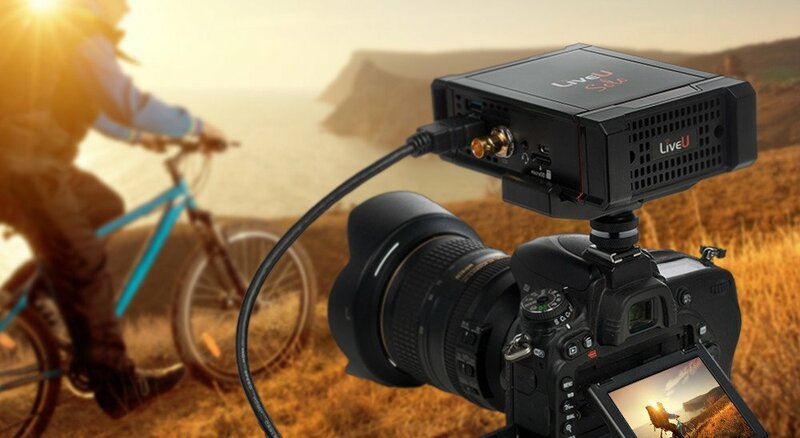 The LiveU Solo accepts video via SDI or HDMI, like the LU200e. 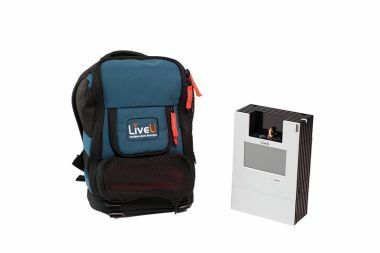 When it comes to network connectivity, the LiveU Solo includes cellular bonding technology that lets you use two 4G LTE connections. It also includes Wi-Fi support (up to 802.11n) and an Ethernet port. The cost of the LiveU Solo is $1,499, plus a $45 per month charge for cloud-based network bonding and LiveU Reliable Transport (LRT) services. To learn more about the Solo, check out the data sheet. The LU500 is a small, lightweight, highly powerful backpack-mounted live stream encoder that has won numerous broadcast-industry awards. At about one kg in weight, and with an integrated backpack, the LU500 is easy to carry all day. Suitable for professional news gathering, the LU500 supports up to eight cellular networks for broadcast-quality live video transmission. The device also includes two Ethernet ports and Wi-Fi connectivity, and can connect to the LiveU Xtender antenna and satellite equipment for even more robust connectivity. As far as video, SDI and HDMI inputs support up to 1080p full-HD video at 60 frames per second. The integrated battery provides three hours of mobile use, and you can charge it from a vehicle cigarette lighter or an AC outlet. The unit is also compatible with Anton Bauer, V-Lock, PAG, and LiveU’s own batteries. Like other LiveU products, the LU500 integrates automatic packet recovery algorithms, error correction, and adaptive bitrates to maximize quality. Low latency video is ideal in a broadcast setting and for studio interviews. The LU500 is also fast to boot up, connecting to networks within less than a minute of startup. For pricing information for the LU500 and LU200e, contact LiveU directly. The 2014 Winter Olympics in Sochi, Russia provided a thorough testing ground for LiveU encoders. Some reporters went live more than 30 times each day using a single mobile LU500 live encoder unit, achieving HD-quality broadcasts by combining eight cell network connections. Professional-grade LiveU encoders also include a “store and forward” mode ideal for reporters making footage available to a studio for use between minutes and hours later—perfect for a widespread, long-term sporting event like the Olympics. LiveU encoders transmit video via the RTMP standard, which means they’re compatible with DaCast. To connect them with the DaCast streaming platform, you’ll need to gather a bit of information from your DaCast account. Here’s how that process works. First, log into your DaCast account. If you haven’t already created a live channel, do so now by clicking the “plus” icon. In your list of live channels, click the “Edit Channel Settings” button under the “Actions” header. Navigate to the “Encoder Setup” page using the hamburger menu on the top right side of the screen, just below your profile image. Here you’ll find a screen with three panels. The first panel contains resolution and bitrate settings. Don’t worry about these settings, as they’re depreciated in favor of what you select at the encoder level. In the middle panel, select “other RTMP encoder.” This setting is compatible with every LiveU encoder, including the three from this article. In the final panel, you’ll see a number of URLs and passwords. Copy the following settings: Stream Name, Login, and Password. Input these details into your LiveU live encoder. You are now ready to stream! Here at DaCast, we want you to feel confident about the equipment and technology behind live streaming. We hope the information in this article helps you make informed decisions about your live streaming equipment. If you need an online video platform to complement your new LiveU encoder, we recommend you check out DaCast. Click here for our free trial!